Easy Star is a friendly and innovative family run company, wich started its road on Estonias market in 2009. We ended our first year with a 75500 turnover and 2018 we achieved 2,1 million euros. 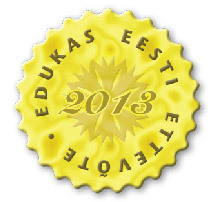 In 2013 we received a credit rating A and were named "Eesti edukaks ettevõtteks". Good to say that the company's turnover has been growing every year and we got a “Eesti Gasellettevõte 2014" diploma from XIV Gaselli congress for it. 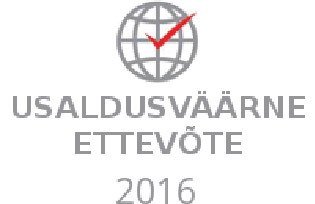 We got rewarded “Sertifikaat Usaldusväärne ettevõtte” in 2016. Eesti Võlausaldajate Liit rewarded us in May 2018 with “Turvaline partner” and from that moment we are also a member of Eesti Võlausaldajate Liit. We promise we keep on growing and being the successful company that we are. Activities of company and the offered products are expanding annually in accordance with needs of customers. The majority of our revenue is generated from the sale of paper to large consumers. We offer paper products that are environmentally-friendly, labelled as Nordic Swan and EU eco-label, our KATRIN paper is marked White Swan. We also offer a wide selection of garbage bags, cleaning supplies of German, Swedish and Estonian manufactures, quality cleaning accessories and fragrance products. We also offer various paper and soap dispensers, trash cans, accessories and mirrors. Customers are happy because they always get a little bit more than they expect. We guarantee daily availability of goods in our stock, we can offer the best solutions, excellent service and fast delivery all over Estonia. Our sales managers will always find appropriate solution, drawing attention to details, which may prove in the long run the valuable information. Cooperating with us, you will get reliable and long-term partner. Easy Star Ltd. started activity in the Estonian market in early 2009 and first year of annual turnover was 75,500 euros and in the end of 2018 year at reached nearly 2,1 million and the coming years we will continue growing. It is good to see that our company turnover has grown steadily each year and for that we got recognition for the XIV Congress of participating in Gazelle. In 2013, we were issued a credit rating A and were appointed as Estonia's successful company. In 2016 we won the title of a reliable company.